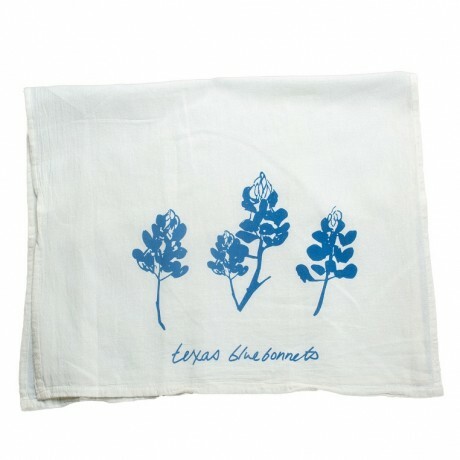 Texas Bluebonnets tea towel from Kimball Prints in Austin. 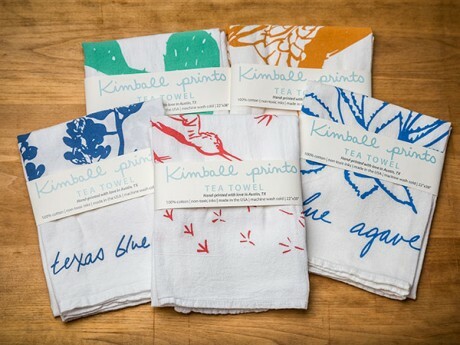 Every towel is created by hand by Carolyn Kimball, so some slight variations are possible and make each towel unique. 100% cotton. Hand-mixed non-toxic ink. Machine wash cold. 22 x 38 inches. This item is temporarily out-of-stock. You may place your order today, but keep in mind this item will be shipped separately. Our expected in stock date is unavailable at this time.